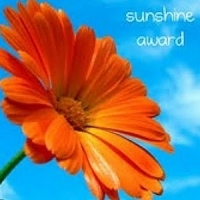 The Sunshine Award-my first nomination! 1. Include the award logo in a post or in your blog. 2. Answer ten questions about yourself. 3. Nominate ten other fabulous bloggers. 1. What is your favorite color? Oh man, I have a challenging time picking favorites. I’m going to go with a color scheme instead (I do what I want! Bahaha! Ahem.) and say purple, dark green and dark blue. 2. What is your favorite animal? 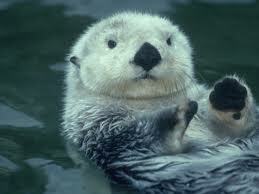 Sea Otter! I don’t feel the need to justify myself here. Seriously c’mon, just tell me this guy doesn’t bring a smile to your face. 3. What is your favorite non-alcoholic drink? Super pulp-heavy OJ. Seriously, just mash up an orange and give it to me, I’d enjoy the hell out of it. 4. Do you prefer Facebook or Twitter? I went on an anti-internet rampage a few months back, and deleted both from my life. Though I have to say, If I had to have one back, it would be Facebook. I miss the stalkability. 5. What’s your passion? Expanding my awareness. Growing this brain thingy with more openness, love and wisdom. 6. What’s your favorite pattern? Hmm I’ve never really thought about it. Can spirals be a pattern? I like spirals. 7. Do you prefer giving or getting presents? Both, OBVEY. 8. What is your favorite number? Oh ummmm. I really don’t have one. 9. Favorite day of the week? Sunday. Sunday vibes always seem to be relaxing, rejuvenating, celebratory, and full of morning fun like coffee and brunch and waking up slowly. I love morning fun. 10. 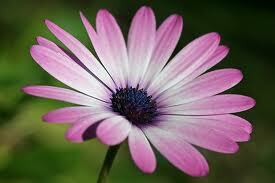 Favorite flower? Purple with white Daisys. Simple, but I love them. I never get tired of walking past them in my neighborhood. Here are my picks for great inspirational, thought-provoking or downright hilarious blogs !